You could dabble in organized crime. You could do some smash-and-grabs. You could find all sorts of ways to pick up a few nuyen here and there. But everyone in the Sixth World knows that if you want to make a play for the big bucks, the real high-level stuff, you've got to get in bed with the corps. The corps have the money, and they’ve got all the power that comes with it. If you want to have some of that cash and some of that pull for yourself, you’re going to need to stay alert, move quickly, and remember that while corps are willing to pay for things that help them, deep down they really hate sharing what they’ve got with anyone. 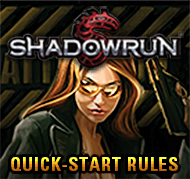 Including shadowrunners. 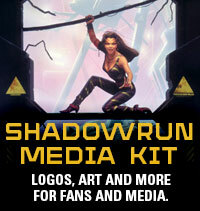 Especially shadowrunners. 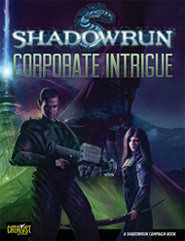 Corporate Intrigue provides a wealth of plot points and adventure ideas to allow gamemasters to develop corporate-centered campaigns, including plotlines the lead to the discovery of a secret one megacorporation is struggling to contain. 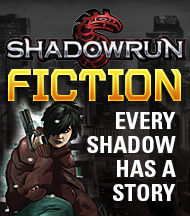 Building on information provided in Corporate Guide, Corporate Intrigue provides the story information, location details, and NPC statistics to make running a corporate-themed campaign as easy, fun, and brutal as you want it to be.